One $10 big blind. That was the margin of Victory for Viktor “Isildur1” Blom in his latest Superstar Showdown challenge match at PokerStars that saw the Swedish phenom take-on online qualifier “DodgyFish72” in a pared down version of the match. The Superstar Showdown is played across four tables of Heads-Up NLHE or PLO for 2,500 hands, with the player coming out on top declared the winner. 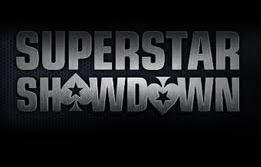 Instead of the typical $50/$100 stakes that the SuperStars Showdown is normally played at Isildur1 and DodgyFish72 played in a $5/$10 match with the qualifier staked $15,000 by PokerStars –which he was allowed to keep win, lose, or draw. The amateur got off to a fast start, up some $1,700 after only 150 hands according to the PokerStars Blog, but Isildur1 would take over from there and swell his lead to over $10,000 midway through the match. However, DodgyFish72 was not ready to go quietly into the night, and after winning an all-in confrontation with pocket Aces the two players were nearly even. With one hand left to play the two found themselves dead-even –yes, DEAD EVEN! Isildur1 locked up the victory by open-shoving for $3,745, forcing a fold by DodgyFish72 who pocketed his remaining $14,990 of stake money, while Isildur1 ran his Superstar Showdown record up to 5 -1 with the $10 victory! You can get more than $10 at with there poker deposit bonus. This entry was posted on Monday, February 28th, 2011 at 1:02 pm and is filed under Poker News. You can follow any responses to this entry through the RSS 2.0 feed. You can leave a response, or trackback from your own site.